You’ve got the gloves, the goggles, the scarf, the hat, and the long jacket. You’d love to “do the town” but there’s one problem: people can see right through you. Literally. Holing up in some motel, you plot your next course of action. Rob a bank? Get vengeance on those who avenged you? But how did you get here? Stories of invisibility have been around almost as long as vampires and werewolves. In the beginning, only gods, angels, demons, and the like were able to become invisible, or actually be invisible. In Plato’s “The Republic,” a peasant finds a ring that provides invisibility, which he uses to get into the palace and seduce the Queen, plotting to kill the King. The Greek hero Perseus used a cloak of invisibility to kill Medusa. From this point, invisibility was kept primarily to objects such as rings, cloaks, and hats. 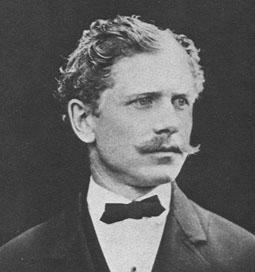 Skip way-forward to 1859, when author, playwright, and critic Fitz James O’Brien released the short story, “What Was It? A Mystery.” Although more of a playwright than a novelist (or short story writer), this piece of fiction was the first to deal with the subject of an “invisible monster.” About 22 years later then techno-writer Edward Page Mitchell released, “The Crystal Man,” an 1881 novel that is credited for the first use of scientific means to make a man invisible. These two literary sources led to “The Damned Thing,” by Ambrose Bierce (1894), where an invisible monster is loose in the Old West, and “The Horla” by Guy de Maupassant (1897), where an invisible being slowly drives the main character insane. The same year H.G. 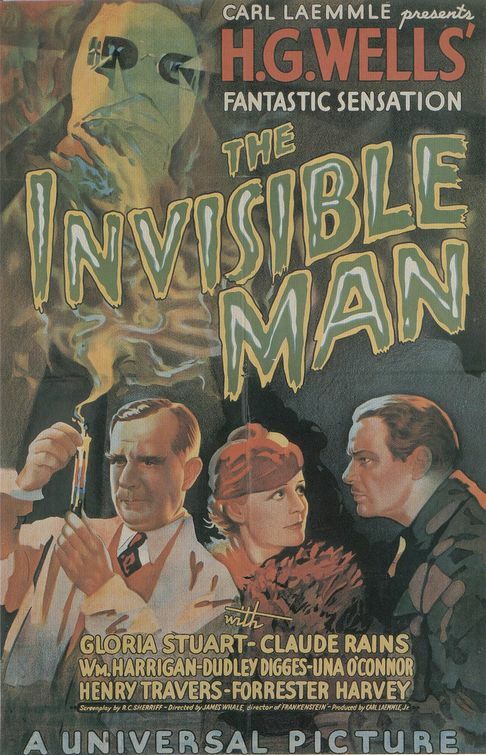 Wells released, “The Invisible Man.” Not to be confused with “Invisible Man” by Ralph Ellison, this story was about Griffin, a scientist kicked out of a university who pilfered money from his father and had been conducting experiments on invisibility until an altercation forces him to test it on himself. In being invisible, he robs banks in order to have money to continue finding a “cure” for invisibility. A pursuit by the police occurs and Griffin is killed. As he dies, his body slowly returns to being visible. 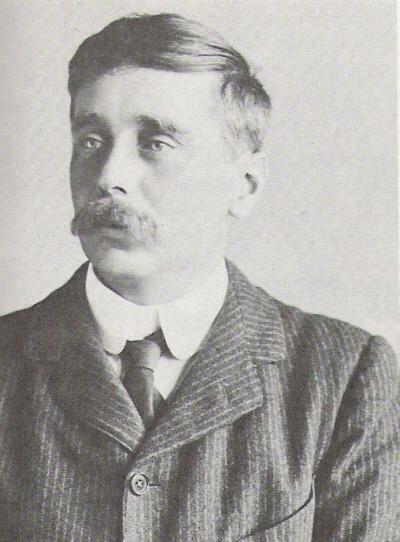 Horror author H.P. Lovecraft took the invisibility + monster idea and used it to craft his tale, “The Dunwich Horror” (1929). Hollywood, or rather Universal Studios, stepped in 4 years later and released, “The Invisible Man.” Directed by James Whale, “The Invisible Man” starred Claude Rains as Jack Griffin, a scientist who creates a new drug called “Monocane.” This drug allows him to be invisible, but slowly drives him insane. Trying to force his one-time partner Kemp (William Harrigan) to be a partner again and secretly seeing Flora (Gloria Stuart), things go awry. He’s captured and dies in a hospital, becoming visible again after death.